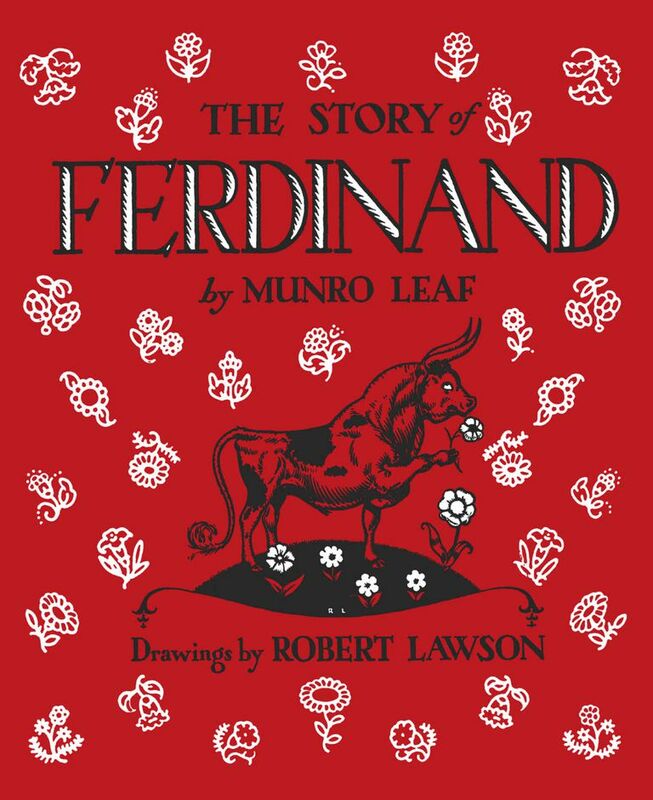 More than 75 years ago, Munro Leaf wrote "The Story of Ferdinand" and his friend Robert Lawson illustrated the story. Ferdinand is a bull, who grows up with other young bulls in the pastures of Spain, an unlikely character and setting for a children’s picture book. The story revolves and grows around Ferdinand’s unique, gentle nature compared to the other bulls who like to fight with each other. A little longer text than most picture books, the story can be enjoyed on different levels by children 3 years old and up, as well as older children and adults. As time goes by Ferdinand becomes bigger and stronger like all the other bulls he's growing up within the countryside of Spain. But his nature does not change. While the other bulls continue to enjoy butting and sticking each other with their horns, Ferdinand is happiest when he can sit quietly under the cork tree and smell the flowers. Of course, Ferdinand’s mother is concerned that he does not run and play with the other bulls, but she is understanding and wants him to be happy. And happy he is until one day he sits on a bumblebee while five men are visiting to pick the best bull for the bullfights in Madrid. Ferdinand’s reaction to the bee sting is so strong and fierce that the men know they have found the right bull. The day of the bullfight is incredible, with flying flags, bands playing, and lovely ladies with flowers in their hair. The parade into the bullring includes the Banderilleros, the Picadores, the Matador and then comes the bull. Children love discussing what Ferdinand will do. The story of Ferdinand is truly a timeless classic that has been enjoyed worldwide for several generations. Translated into 60 different languages, Ferdinand is a playful and funny story that will have appeal simply for its humor, or for its many messages. Readers will each discover their own piece of wisdom, such as: be true to yourself; the simple things in life give the most pleasure; take time to smell the flowers, and even advice for mothers raising a child with introvert tendencies. Although the black and white illustrations are different from most modern picture books, this is a feature that fits with this peaceful tale. The vocabulary is for an older reader but even three-year-olds can be amused and enjoy the comforting story. Most adults will likely be familiar with The Story of Ferdinand. If not, you won’t want to overlook this one. Robert Lawson received his art training at the New York School of Fine and Applied Arts. His favorite medium, pen, and ink are used expressively and with detail in the black and white illustrations in The Story of Ferdinand. He did not illustrate just to reach a young audience, as shown in the details of the flowers in the ladies’ hair, the clothes of the Banderilleros, and the expressions of the Picadores. Additional readings will bring about humorous discoveries, like the bandages on the bulls and the bunches of cork growing in Ferdinand’s favorite tree. In addition to illustrating many children's books by others, including Mr. Popper's Penguins, Robert Lawson also wrote and illustrated a number of his own books for children. Lawson had the distinction of winning the two most prestigious awards for children's literature. He won the 1940 Randolph Caldecott Medal for his picture book illustrations for They Were Strong and Good and the 1944 John Newbery Medal for his book Rabbit Hill, a novel for middle-grade readers. Munro Leaf, born in Hamilton, Maryland in 1905, graduated from the University of Maryland and received an MA in English literature from Harvard University. He wrote more than 40 books during his career, but the book that gained the most popularity was about gentle Ferdinand the bull. 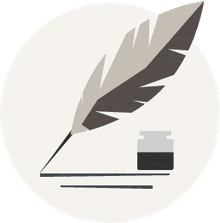 The Story of Ferdinand was penned on a rainy Sunday afternoon in just 40 minutes for his friend, Robert Lawson, who felt constricted by publishers’ ideas.